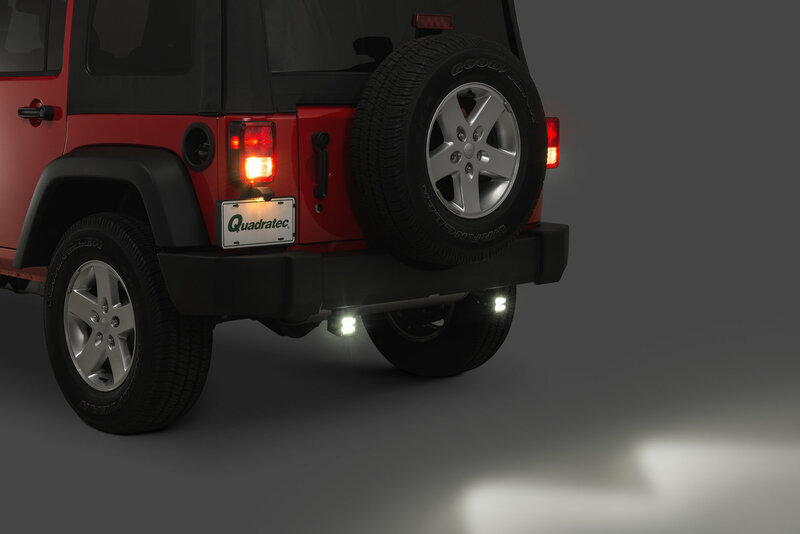 Our exclusive Rear Backup Light Kits for your Wrangler JK provide incredible visibility at night. 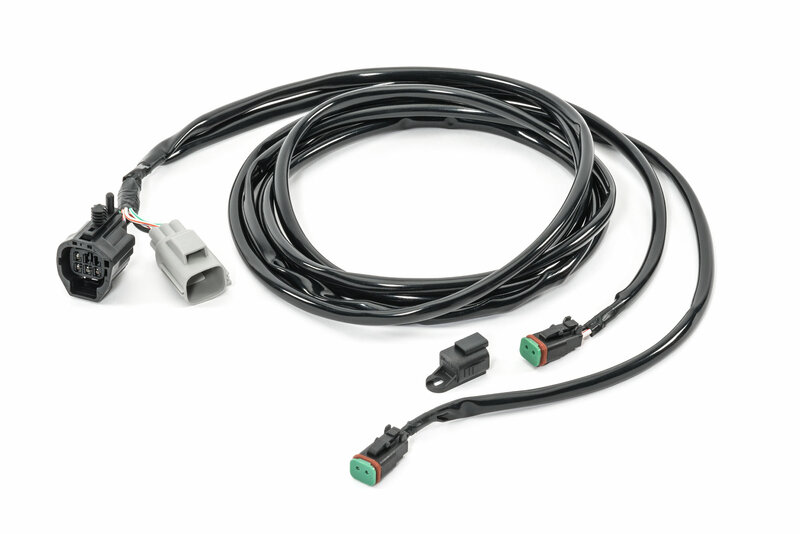 Our plug and play wiring harness turns on the LED accessory lights in conjunction with your factory back up lights whenever your Jeep is placed in reverse gear without the need for an additional switch. 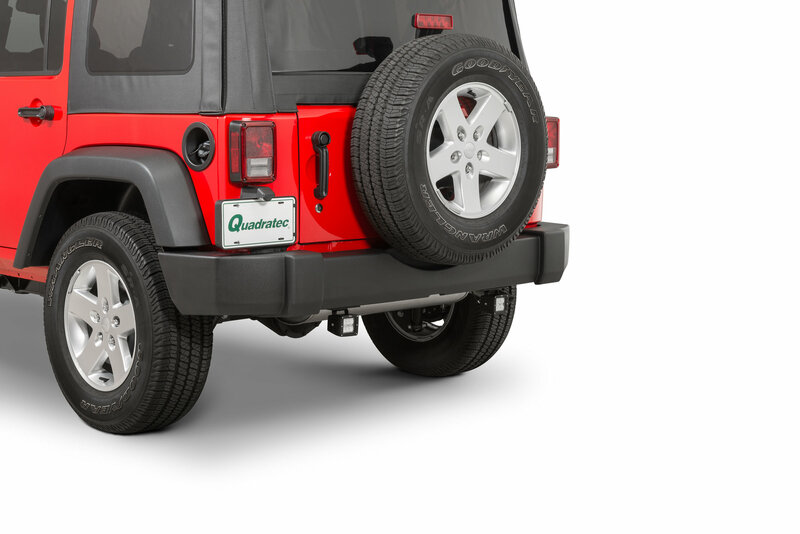 The wiring attaches to your left tail lamp to power the included pair of Quadratec 3” LED cube lights. Each cube light features six 5W Cree LEDs and precision die cast aluminum housings. The powerful and bright 6000K light output is close to natural sunshine and features a 90° Flood beam pattern. 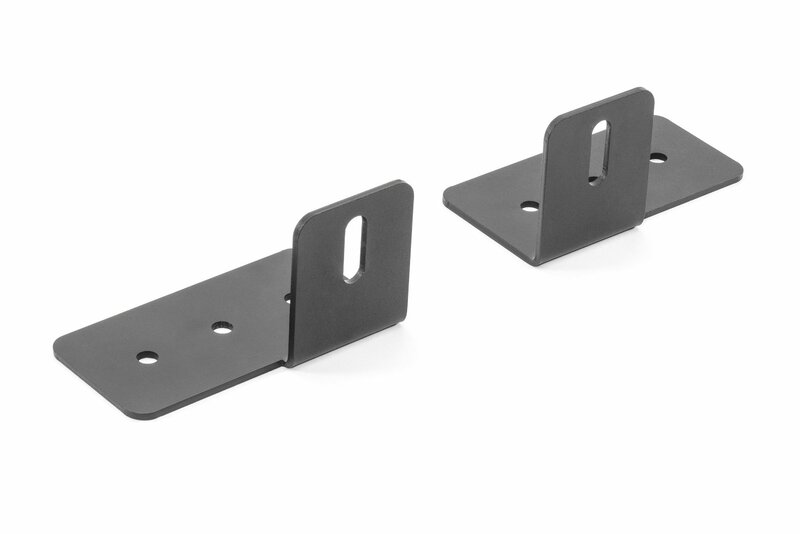 The 4mm thick powder coated steel brackets mount directly to the rear cross member using existing bolts. There’s NO drilling, cutting, or splicing required and installation takes only minutes. Includes a three year limited warranty. Better Visibility: Helps out on your night trail rides while backing up so you can see better as well as others seeing you too. 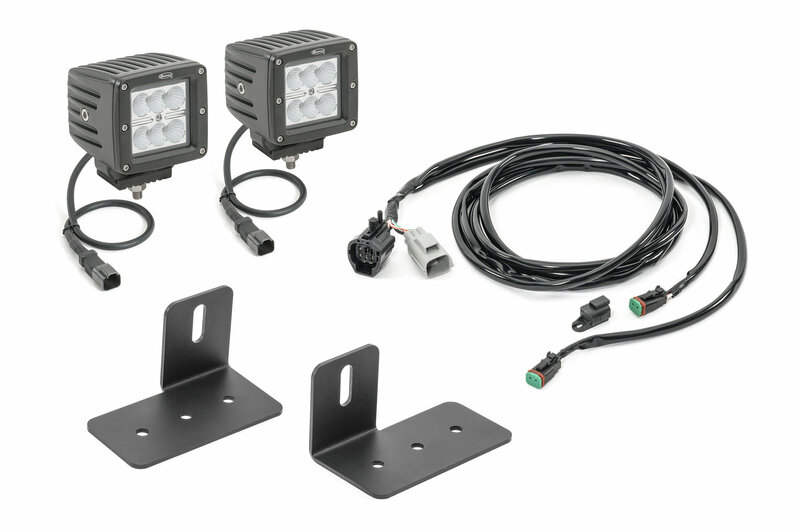 Specs: Our 90° Flood beam pattern Cube Lights put out a clear and powerful 6000K light that features 5W Cree LEDs. 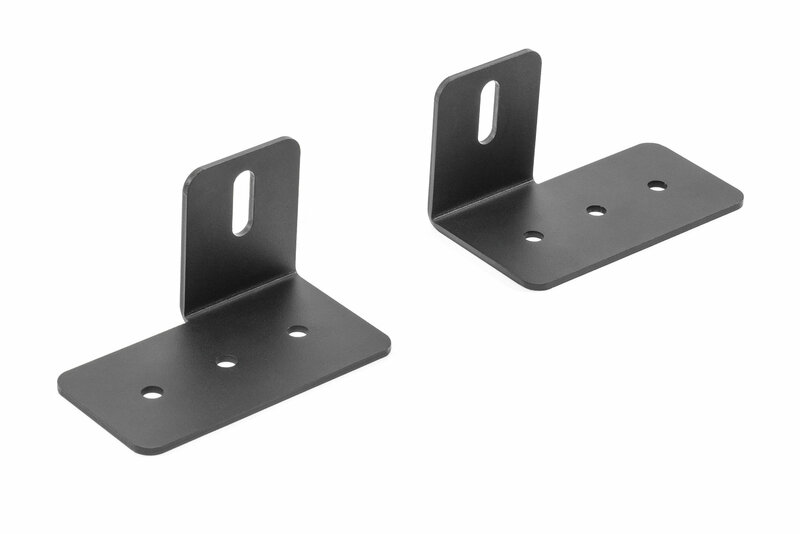 The durable mounting brackets have a 4mm thick powder coat to resist corrosion & protect from off-road debris. 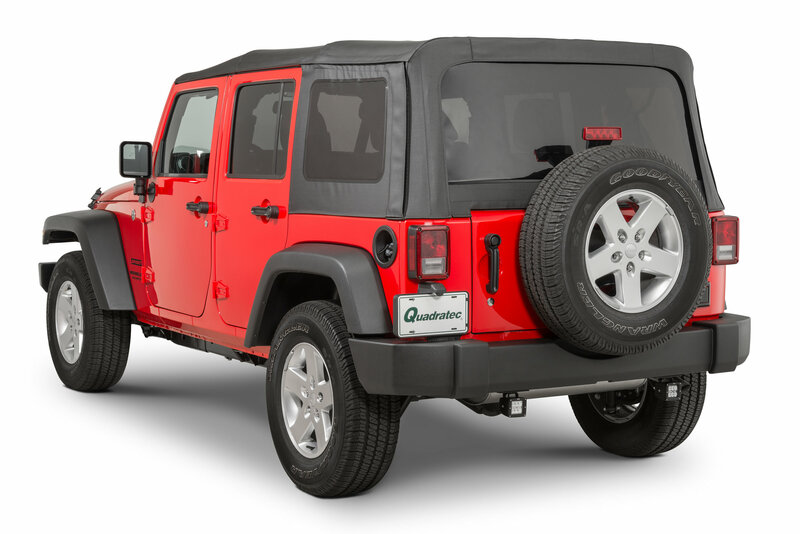 Installation: We have made it simple to add this kit to your Wrangler JK. 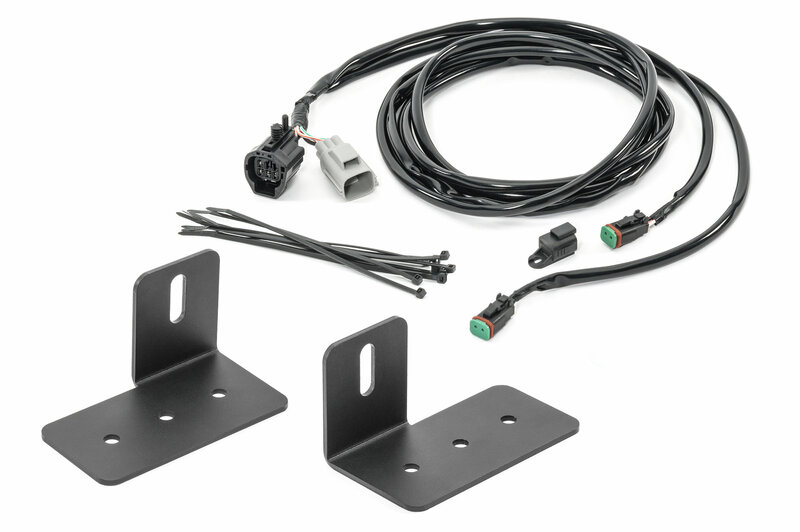 The mounts mount on the rear cross member while the plug & play wiring harness makes it simple to add more lighting while you are backing up. Awesome product. Easy install. I use my jeep to plow and have a salter on rear hitch (I also purchased kit here). The lights really help light up parking lot while in reverse. Awesome product!! 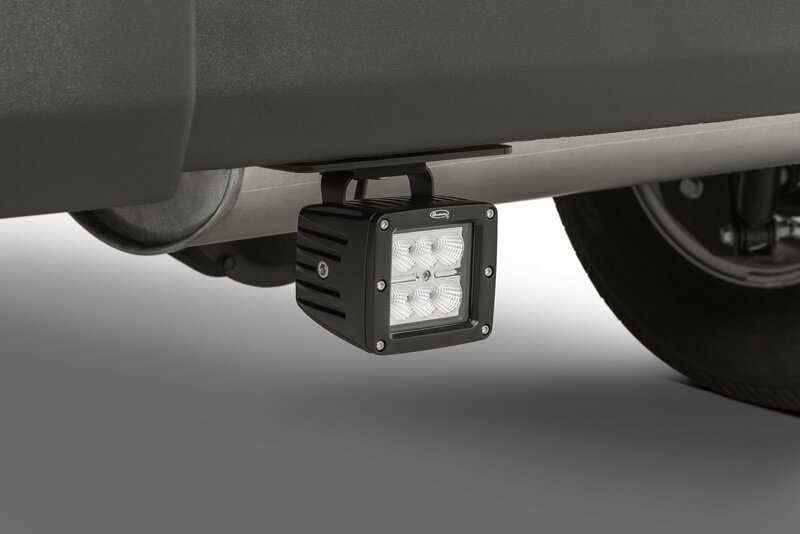 These LED's lights are easy to bolt in and hook up and REALLY make a differnce when you are in reverse!! A MUST HAVE especially if your Jeep is lifted. 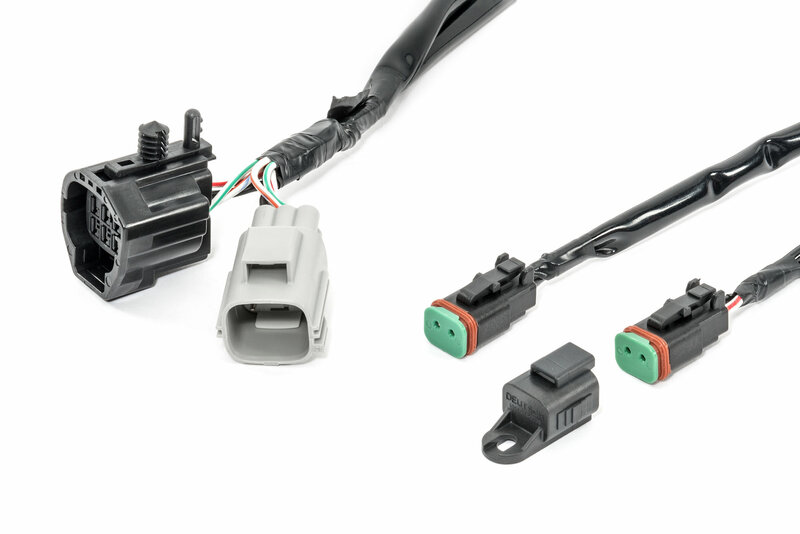 Install couldn't have been simpler with the wiring harness. Lights are super bright for 3" cubes and easily adjustable. No more excuses from the wife not being able to see at night in reverse.